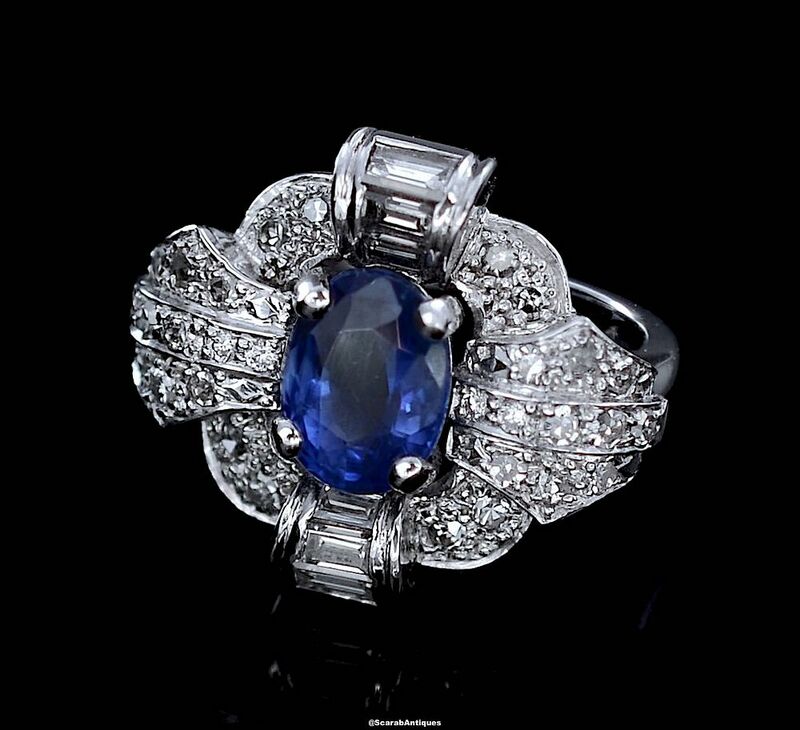 This lovely and very stylish platinum and 18ct white gold Art Deco style ring has a fine intense blue oval sapphire in the centre. 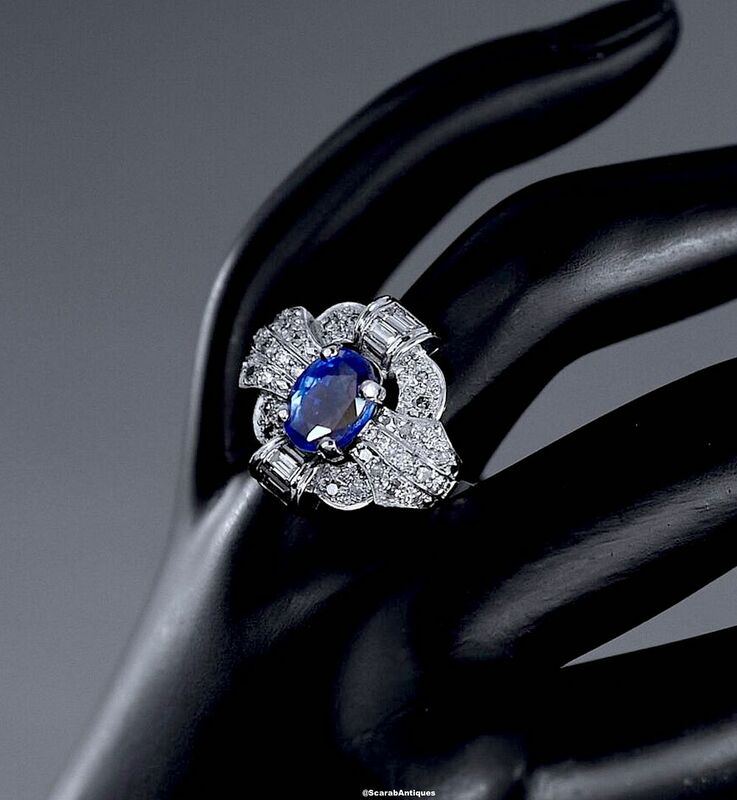 The sapphire is claw set slightly below the scalloped diamond set surround giving a concave top. There is a domed section at 12 o'clock and 6 o'clock that is chanel set with baguettes. At 3 o'clock and 9 o'clock is a stylised fleur de lie section that is grain set with round diamonds. Separating each baguette section from each fleur de lie section is a curved section grain set with round diamonds. The platinum shank is stamped for platinum and 18ct white gold, the top being made of 18ct white gold. The sapphire is accompanied by a certificate No. 10119 dated 01 July 2014 from the Gem & Pearl Laboratory London stating that it is natural and shows no evidence of heat treatment.